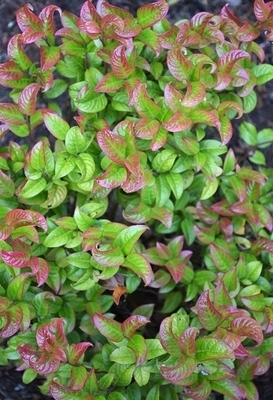 Comments: A compact evergreen shrub with unique curling, bumpy red leaves. New leaves emerge purple red and mature to green with red edging. In fall leaves become more crimson red. Great plant for small spaces as it is slow growing. Found in 1996 by Ron van Opstal in the Neatherlands.